Shortly after arriving in Ho Chi Minh City, we hopped on a bus headed for the southern city of Can Tho in the Mekong River delta. We were excited to see the famous floating markets. Little did we know our adventure would start before we even left the bus depot. We had booked a 3 hour bus ride from Ho Chi Minh City to Can Tho. We didn't realize that we had booked a sleeper bus for an afternoon trip. My assigned seat was in the top bunk. And to make matters worse, the seat was broken and had to remain in the reclined position so my only view was of the ceiling. And Joe's upper bunk had no ladder so he had to perform a gymnastics routine that rivalled Simone Biles just to get up to his seat. "Oh, well," I thought, trying to put a positive spin on things, "I'll nap while I'm laying here." I couldn't! The bus driver blasted his freaking horn 98% of the entire trip! Ricardo was sitting on the steps of the hostel when we arrived to check in. He welcomed us with an exuberant smile. We hit it off instantly. He is a friendly, outgoing traveller from Portugal. We enjoyed wandering around Can Tho with him; eating food, talking and taking photographs. Moon-Moon ran the hostel where we stayed. She has a 3 month old baby girl called Little Moon. Aren't those names adorable? Moon-Moon was beyond helpful, making sure we had a great time in her city. To end our evening, Moon-Moon took us to a food stall where they sold special Vietnamese eggs. The yellow egg on the left is a cooked fertilized duck egg. We could see the duckling's partly formed beak and feet. The black egg on the right is a Century Egg. It is an uncooked chicken egg coated in rice husks that had been cured for 6 months. Joe ate both eggs. 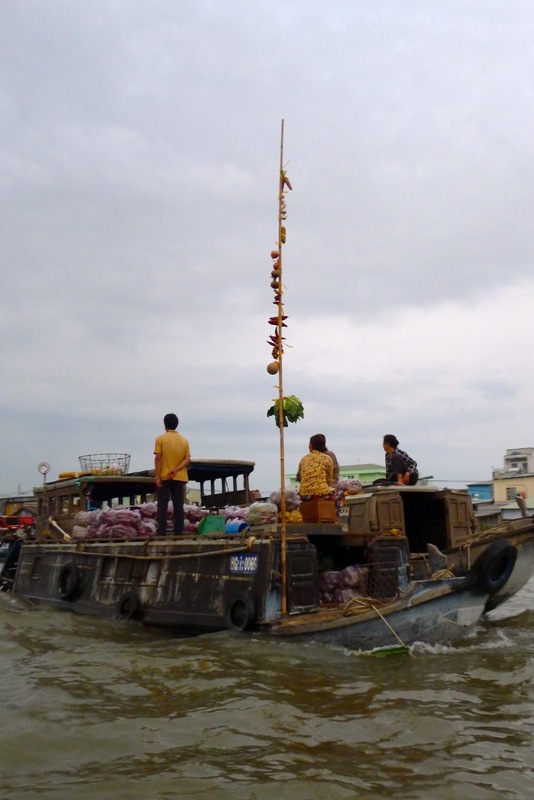 We got up before dawn one morning and went on a private tour of the Mekong Delta to visit the floating markets. Didn't have time to grab a coffee at 4:30am? Not a problem! A floating coffee shop will be sailing by shortly. Sunrise over the Mekong River. 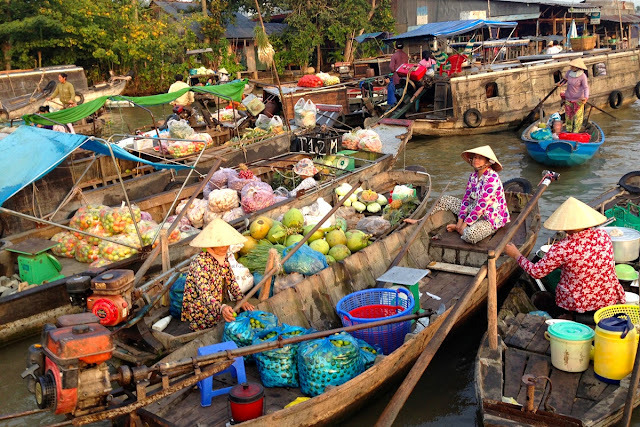 The first floating market we visited had large boats selling sacks of fruits and vegetables. The vendors strung samples of their wares up a pole so that everyone knew what was on board. Look at this woman driving her boat with her right leg LIKE THE BOSS THAT SHE IS. The second floating market we visited had much smaller boats and the women were selling everything from soup to nuts. Well, maybe not soup. But everything else! I think I'm going to get me one of these hats. After visiting the two floating markets, we explored the small canals and tributaries of the Mekong River. It was so serene and peaceful back here! Our skipper let us off the boat so we could give our legs a wee stretch. We walked along the river bank and she picked us up further downstream. People live in very humble homes along the Mekong waterways. Laundry is washed in the river and hung out to dry in the hot sun. Very early one morning Joe, Ricardo and I explored the Can Tho food market. There was so much to see I didn't know where to look first! Sidewalk butcher shop. And fish monger. And vegetable stall. Loaded down with fruit and veg. Absolutely everything and anything can be carried on the back of a motorbike. Selling live and not-so-live chickens. The morning market stretched from the street to the river. Amidst all the hub-bub, this woman patiently waited for customers. The Vietnamese are incredibly friendly! Everyone says hello as you pass by. The next morning, Joe walked to a pharmacy to buy more hand-sanitizer for our upcoming trip to India. He struck up a conversation with My, the friendly girl who served him. Joe learned she was attending Capilano University in North Vancouver in September. Joe told her that we lived a short drive north of Cap U. What a small world! Joe and My made arrangements for us to meet and tour around Can Tho together the next morning. One of our stops included a riverside market and everyone had to get in the picture! Every walking tour needs a lunch stop. Joe chose this restaurant for their famous duck pancakes. My kindly invited Joe and I to attend her mother's birthday celebration at a restaurant later that night. It was the first time since Joe and I were teenagers that we've on the back of a motorcycle. It is customary to pose with one's birthday gifts and the people who gave them. What a wonderful night! Joe and I felt like celebrities. And to think all of this happened because we ran out of hand-sanitizer. 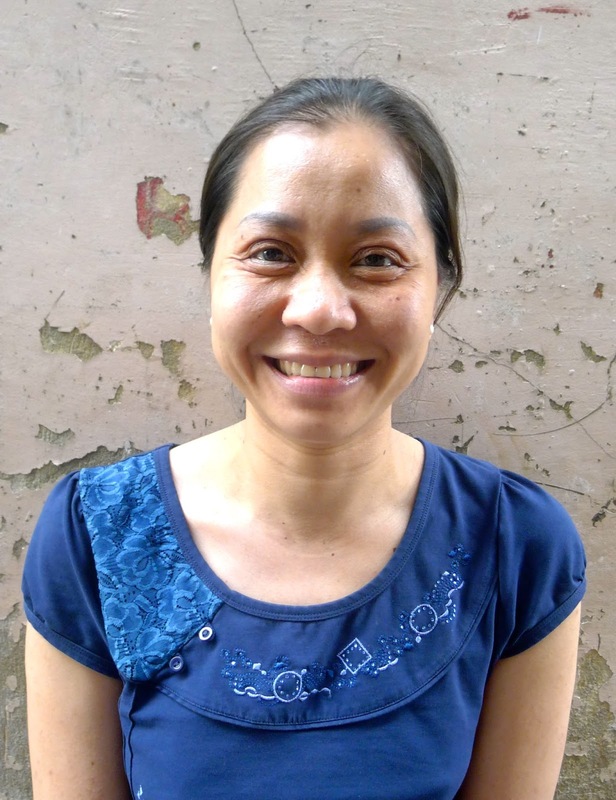 Thank you Can Tho for all of your unexpected surprises. Huge thanks to My and her family for including us in their mother's birthday celebration. It was a weekend I will never forget.